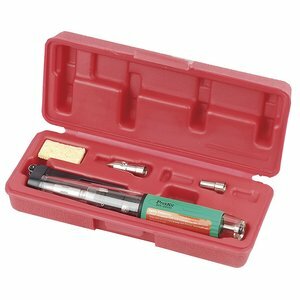 A gas powered soldering iron is ideal for working in locations where there may be no mains power supply available. 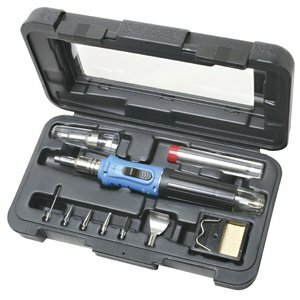 Gas-powered soldering irons are butane powered and can be refilled with an ordinary cigarette lighter butane aerosols. 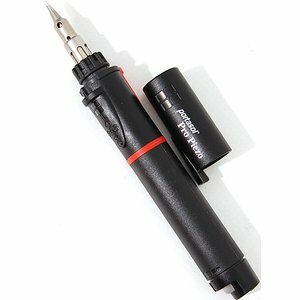 Gas-heated soldering iron with piezoelectric ignition system. Heat power is adjustable within 15-75 W. May be used as a soldering iron or a heat gun. 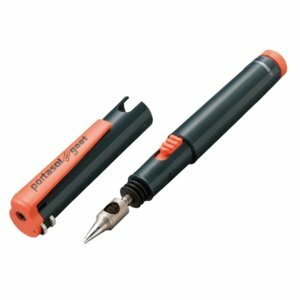 The most powerful gas-heated soldering iron of Portasol series. 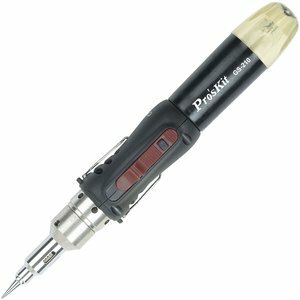 Heat power is adjustable within 25–125 W.
Portable gas-heated soldering iron with butane/isobutane heating. Heat power is adjustable within 10–60 W. Ideal for field operation. Does not contain butane gas when first purchased. 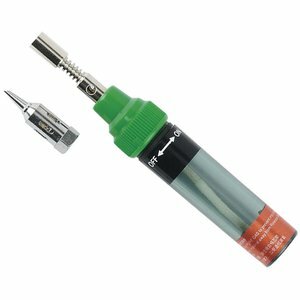 Can be used as soldering iron, blow torch, hot knife, polyform cutter, flat flame torch. Butane-powered soldering iron with soldering tips and a cleaning sponge. 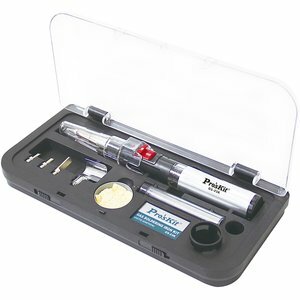 Butane-powered soldering iron & blow torch with a set of soldering accessories in a plastic case. 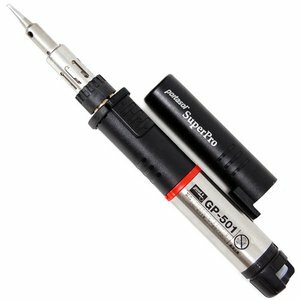 Professional gas-heated soldering iron & gas torch that is refilled with butane gas. Flame adjusment function. 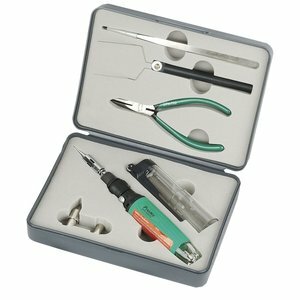 Soldering tool kit consisting of a gas soldering iron with nozzles, cutting pliers, tweezers. 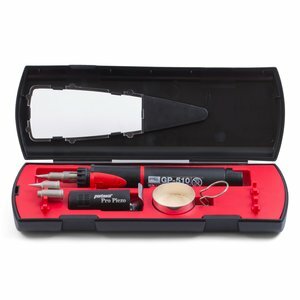 Gas powered soldreing iron with soldering accessories: soldering iron tips, solder, cleaning sponge and stand in a plastic case.